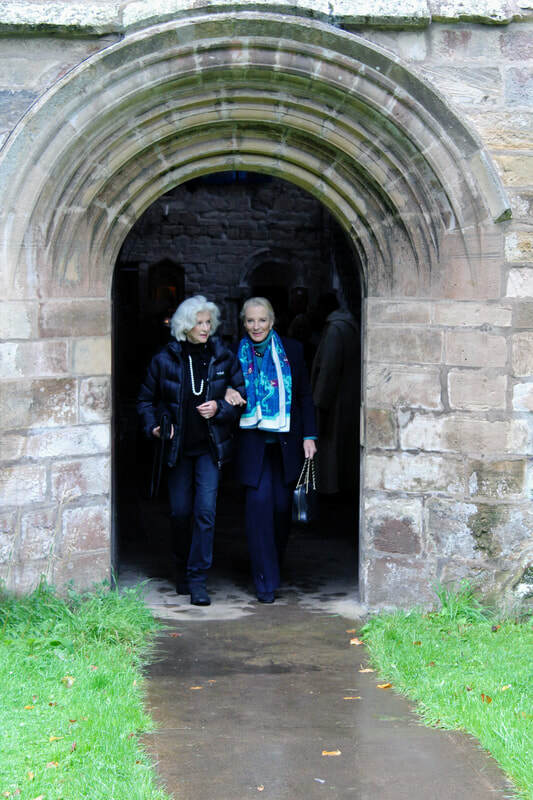 On Sunday 17 September 2017 Princess Michael of Kent, who is one of the Patrons of our South Range Appeal, attended Mass at Pluscarden. At the end of Mass she carried out a simple Act of Dedication of the stone which had recently been carried all the way from Val des Choux in Burgundy by our 1230 Pilgrims. This stone will be set, God willing, among the stones of our projected South Range building. A special slot had been drilled into the stone, and the Princess placed in it a Medal of St. Benedict. She then sealed in the Medal with cement. A practising Catholic, Princess Michael was happy to meet various members of the community, and to stay with her old friend Angelika Countess Cawdor at her Castle not far from the Monastery.